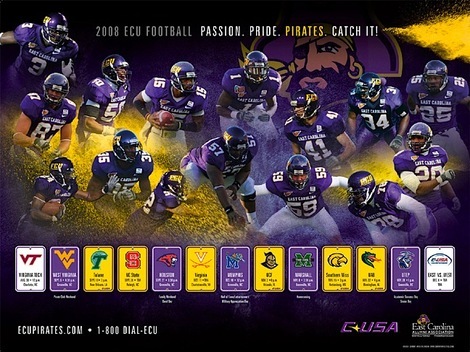 Tennessee is our 54th and last poster schedule for 2008. 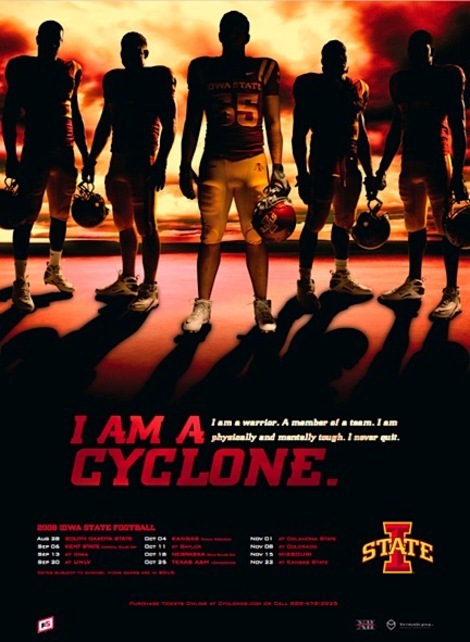 Apparently this poster went to the presses early, as it lists the date of the UCLA game as Sept. 6. The teams play Monday night at the Rose Bowl. The Alabama Birmingham game has been moved to Sept. 13. Thanks to Chris. Since the NCAA adopted the divisional setup in 1978, only five I-A teams have not played a I-AA opponent. UCLA is one of those teams, along with Michigan State, Notre Dame, USC and Washington. Nothing easy about the Bruins' nonconference schedule in 2008. They open against Tennessee on Monday night in the Rose Bowl, then travel to Brigham Young on Sept. 13. Fresno State comes to Pasadena on Sept. 27. Thanks to Jana. Has it been 10 years already? Wisconsin opens Saturday against Akron, but unless something unexpected happens, the story of the day will be the reunion of the 1998 Rose Bowl team. 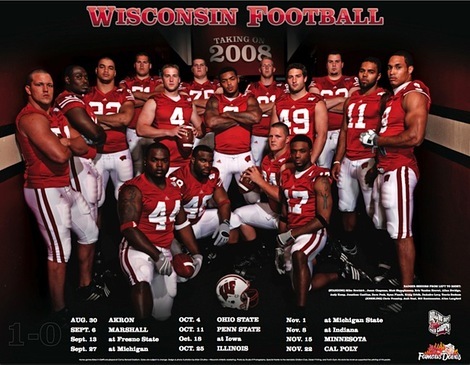 As for 2008, will these Badgers be the team to break Ohio State's stranglehold on the Big Ten? Mark your calendar for Oct. 4, the day the teams meet in Madison. Thanks to Kevin. This is also last call for poster schedules. We have two left (Hint: the teams play Monday night at the Rose Bowl) and if you're team hasn't been represented, now is the time to step up. If Syracuse's schedule poster resembles a movie poster, there's a reason. 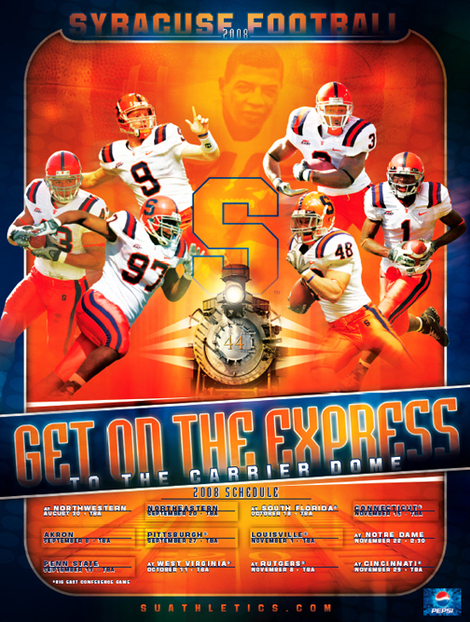 The Orange have incorporated the upcoming film "The Express" into their poster. The film, scheduled for release Oct. 10, is based on Ernie Davis, the former Syracuse standout who became the first African American to win the Heisman Trophy. Donnie Webb of the Syracuse Post-Standard reports that Universal Pictures has already screened the film to several teams, including Kansas, Virginia Tech and Maryland. Syracuse players will view the film next week. Thanks to Zac at Old Hat Creative and Mike. Not much is expected of Iowa State, but that might be a mistake given the Cyclones' cushy schedule. Iowa State opens Thursday against South Dakota State, then plays host to Kent State before road games at Iowa and Nevada Las Vegas. The Cyclones could be 3-1 or even 4-0 when they opens Big 12 play against Kansas in Ames. Thanks to Steve. East Carolina can make some early noise with games against Virginia Tech and West Virginia. Also on the nonconference portion of the schedule are North Carolina State and Virginia. Thanks to Michael.